In Western Europe, approximately 92 kilograms of plastic per capita are consumed annually, and this quantity is increasing. Worldwide use per capita stands at about 35 kilograms. The largest amount of plastic waste comes from the packaging industry: two-thirds generated by households and one-third by industry and commerce. The mass use of plastic started in the 1950s and has steadily grown ever since. Today, more than 300 million tons of plastic are produced annually. While in Europe the production of plastic has remained relatively constant over the last decade, in developing countries in particular it continues to rise. The popularity of plastic is due not only to its low production costs but also its numerous practical characteristics, including its low weight, acid resistance, and flexibility. In addition, plastic’s flexible properties encourage technological innovations and—particularly in the fields of medicine, building technology, and aircraft and automobile manufacturing—lead to new solutions, improvements, and comfort. Yet the tremendous consumption of plastic also presents numerous problems. A large part of the plastic quickly ends up in the garbage. As standard plastic is not biodegradable, plastic refuse improperly disposed of pollutes our environment for decades or even centuries. Today, mountains of plastic are piling up in garbage dumps and in the natural world. As consumption increases there is an urgent need for far-sighted and holistic solutions to this problem. Plastics consist of long molecular chains, known as polymers, created by linking the same repeated building element (monomer). Synthetically produced plastics are made from mineral oil, coal, or natural gas. A total of 4 percent of the worldwide production of oil and gas is destined for the manufacture of plastics. In addition to synthetic plastics there are also the semi-synthetics that are made from natural polymers such as cellulose. Today, organic plastics made from sustainable raw materials are being produced in increasing amounts. The most common types of plastics, known as the mass plastics, are: polyethylene, polypropylene, PVC, polystyrene, PET, and polyurethane. Polyurethanes are formed by the polymerization of isocyanates (ester) and diols (dihydric alcohols). Depending on the production method, this plastic group can display very different properties. PU is often produced in the form of foam. Soft foam that retains its shape is particularly suitable for upholstered furniture; hard foam is used in the building industry. This plastic can also be used in the manufacture of paints, adhesives, or elastic textile fibers. However, it is difficult to recycle and if burned releases poisonous substances (isocyanates, hydrocyanic acid). Polycarbonates also belong to the group of polymers and are typically produced from phosgene and bisphenol A. PC is an important plastic due to its specific properties, but as it is relatively expensive, it is only used when required and is not among the mass plastics. Polycarbonate is colorless and translucent. While it has relatively low chemical resistance, it is highly impact resistant and shatterproof. PC is thus ideal for use in the field of optics and for safety glazing. However, because it contains the substance bisphenol A, this plastic can be harmful to one’s health. Polystyrene is produced from the colorless liquid styrene. In a foamed form, this plastic is known under the trade name Styrofoam. PS has a glass-like, shiny surface. It is hard and brittle, which can lead to the formation of tension cracks. As a foam, the material is primarily used as thermal insulation. PS is problematic due to carcinogenic substances, mainly in production and processing. It is also difficult to recycle. Polyethylene is produced through the polymerization of the gaseous substance ethylene (ethane). The density of the material can be influenced by means of different synthesizing processes, creating the following three types: HDPE (High-density PE), LLDPE (Linear low-density PE), and LDPE (Low-density PE). In general, PE is a rather soft plastic that has a high level of stability to chemicals. As PE hardly absorbs water and is of low density, in water it floats on the surface. Polypropylene—also known as polypropene—is a thermoplastic derived from the gas propene. This plastic is often processed into fibers. PP is the mass plastic with the lowest density, and in water it also floats on the surface. Its stability and resistance to chemicals is similar to that of LDPE, but PP can be used at higher temperatures. Since PP is odorless and does not irritate the skin, it is widely used in the food and pharmaceutical industries. Polyvinyl chloride is produced from the gas chloroethene, known as vinyl chloride. With the addition of plasticizers, this rather stiff plastic becomes elastic. 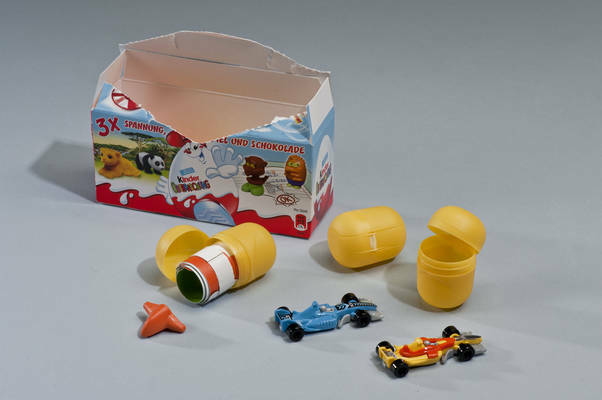 The phthalates used as plasticizers in PVC can comprise up to 70 percent of the material. PVC is a very robust, insulating plastic with high fire-resistance, making it an ideal material for the building industry, in particular for pipes and window profiles. On the other hand, PVC is far from harmless: from the carcinogenic raw material to unhealthy phthalates to the poisonous dioxins released upon combustion. Polyethylene terephthalate is a polycondensate from the family of polymers made from terephthalic acid and ethylene glycol. In its amorphous state, PET is a transparent, lightweight, and impact-resistant material that is mainly used to make bottles for soft drinks and water. PET is also processed into textile fibers (microplastic particles); it retains its shape, is crease and tear-resistant, and repels water. PET has a relatively good recycling balance sheet. However, the fact that PET bottles release acetaldehyde and antimony into the liquid they contain is problematic. In spite of this, the values measured are not considered to be hazardous to one’s health. Plastic is biodegradable if it can be broken down into the elements water, carbon dioxide, methane, and biomass. The biodegradability does not have to do with the particular raw material on which a plastic is based but rather with the structure of the material. 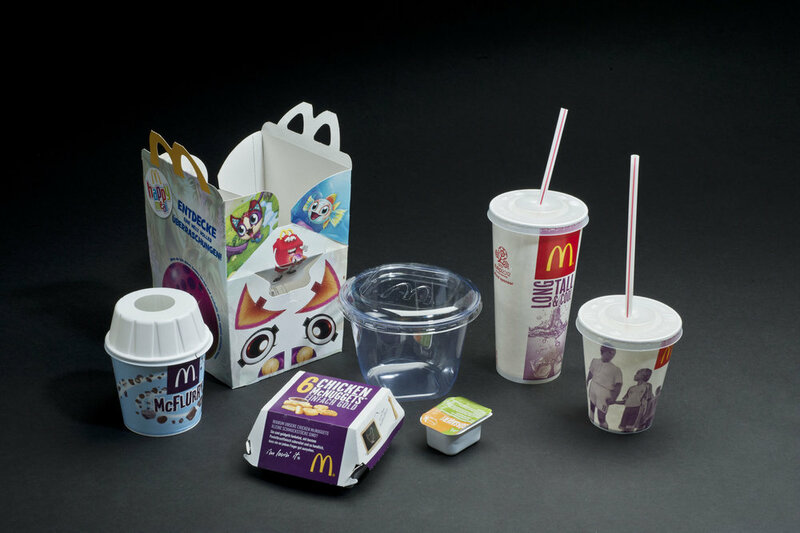 There are also petroleum-based plastics that are biodegradable. The problem is that the composting of biodegradable materials can often only be achieved under very specific circumstances, such as that found in industrial composting plants. A lot of biodegradable plastics, however, do not decompose in water. Many producers today are switching over to “bio,” because ecological sustainability is a good selling point. But the products do not always fulfill their promise. For instance, a PLA water bottle (made of polymerized lactic acid) is, in practice, difficult to compost—and if, by mistake, it ends up in the PET collection, it can dirty the material cycle there. In addition, bioplastic tends to convey the wrong message: that we can continue to consume thoughtlessly. Thus the usefulness of bioplastics is hotly debated. A plastic is bio-based if it is made from a sustainable (vegetable) raw material. For example, bio-based plastics can be manufactured from starch, cellulose, sugar, vegetable oils, lignin, and proteins. These basic substances can be derived from maize, wood, sugar, or potatoes. Bio-based plastics are not without their critics. And the criticism is much the same as that applied to bio-fuels: “full tanks—empty plates”—as the area on which to cultivate crops for food production is reduced. Similarly, the question of whether bio-based plastics are in fact more environmentally friendly than those based on mineral oil is hotly debated. If one looks at the entire life cycle of such a plastic—from planting to watering, harvesting, production, and transport—biological plastics do not necessarily score any better. Since the 1980s, there has been an increasing discussion about and production of bioplastics as an alternative to conventional plastics. While for a long time the focus was on the ecological aspect of biodegradability, today economic arguments play an important role. With the rising price of petroleum, biologically based plastics are of ever greater interest to the plastics industry. However, “biodegradable” and “bio-based” should not be confused as being the same. Although in either case one speaks somewhat inaccurately of “bioplastics,” the two terms denote two very different properties that can be combined with each other but also appear individually. Although every plastic has specific properties, these can be modified in the production process as required and adapted to suit different needs by blending with other polymers or by the use of additives. There are concerns about the impact on health and the environment relating to a number of substances used. Today certain phthalates (plasticizers), bisphenol A, and various flame retardants are regarded as particularly problematic. Several of these substances are now banned, and others are currently being examined within the framework of the REACH regulation (Registration, Evaluation, Authorization, and Restriction of Chemicals, following the “no data, no market” principle), which entered into force in 2007. REACH is a regulation of the European Union adopted to improve the protection of human health and the environment from the risks that can be posed by chemicals, while enhancing the competitiveness of the EU chemicals industry. It also promotes alternative methods for the hazard assessment of substances in order to reduce the level of animal testing. As there are no mandatory declaration laws for plastics and the additives they contain, and producers keep the composition of materials secret, it is often very difficult for consumers to tell harmful products from harmless ones, and practically impossible to check whether bans or limits have been observed. Bisphenol A (BPA) is an industrial chemical that is found in many everyday products, and the dangers it may pose to health and the environment have been a subject of controversy for many years. It is a main element in the production of polycarbonate and is used in the casings of electrical and electronic appliances, bottles and containers for foods, compact discs, and in the field of medicine, among other uses. In addition, epoxy resins made from BPA are used as varnishes to coat surfaces or to coat the insides of drink and food cans, drink canisters, and drainage pipes. BPA is also used as an additive for coating thermal paper, to slow down the aging process of PVC, and as a stabilizer in brake fluids. It is a substance with high mobility and a hormone-like effect. The chemical can be released by objects and coatings and can thus—through food or the skin—enter the human body, where probably even small doses can have an adverse effect on the hormonal system. Risks exist mainly with regard to sexuality and reproductive health, diabetes, obesity, cardiovascular disease as well as intellectual development and behavior. Although European authorities emphasize that, if used correctly, bisphenol A is harmless, other countries do not exclude the possibility of damage to consumer health and have preferred to take a more cautious approach. In 2008–09, tests carried out on baby bottles and pacifiers produced worrying results. In Canada, baby bottles made from polycarbonate containing BPA have been banned since 2008, and in the European Union a similar ban has been in force since 2011. Since then, statements from various institutions have been made, BPA was not harmful to humans, but at the same time the investigations continue. Products for babies, children’s toys, and the furniture in children’s rooms should be made of harmless materials and should carry recognized symbols. The CE symbol, for example, only confirms that the products meet the less stringent European guidelines. A better choice are products with protected quality seals and stricter requirements, though these differ from country to country. Nowadays, harmless or safe products are often clearly marked as such. Before buying an item, consumers should carefully review the product and its materials list, the reputation and origin of the manufacturer, and the product’s quality, sturdiness, and odor neutrality. Buying fewer products of higher quality rather than more and cheaper products can serve as a good general guide. Microplastic represents a significant part of the plastic garbage problem that has recently been the subject of intensive research. Microparticles (according to the current definition, smaller than 5 mm; the smallest particles found to date measure just 1/1000 mm) enter the sea in various ways. In addition to the plastic debris that disintegrates from the effects of friction and UV radiation, plastic pellets, a raw material in the manufacture of plastic products, comprise a significant part of the problem. Due to careless handling, for example during transport, considerable quantities enter the natural environment. Recent research also shows that textiles made of synthetic fibers such as polyester and especially fleece lose up to 1,900 synthetic fibers with each washing. Exfoliating products, many of which often contain small plastic beads made of polyethylene, pose a similar problem. These microparticles escape the filters in sewage treatment plants and, suspended in wastewater, reach the seas through rivers, pollute beaches, or accumulate as pollutants and enter the food chain. Products made of natural materials offer an important alternative, as they break down into innocuous elements that decompose within a few years. Exfoliations are designed to stimulate the regeneration of the skin and help it look more youthful. It is no wonder that exfoliating creams for the face and body play an increasingly important role in society’s pervasive battle against aging. In mechanical exfoliation, water-insoluble abrasive agents—microbeads made of plastic—are frequently used. Alternatives include exfoliation materials made from ground fruit seeds, healing clay and jojoba oil, or water-soluble particles such as salt or sugar, generally combined with oils, or the classic method of exfoliation: a brush. In 1993, Patagonia became the first outdoor gear company to use recycled PET bottles to make some of its fleece garments. This environmentally conscious firm proudly states that this was “a positive step towards a more sustainable system—one that uses fewer resources, discards less and better protects people’s health.” Since then, some 92 million PET bottles have been transformed into articles of clothing. However, for many firms that produce fleece pullovers and jackets, recent discoveries about microfibers in wastewater present a challenge to take a further innovative step to protect the environment. Natural materials such as silk, cotton, or merino wool offer important alternatives to synthetic fibers, including for sports clothing. 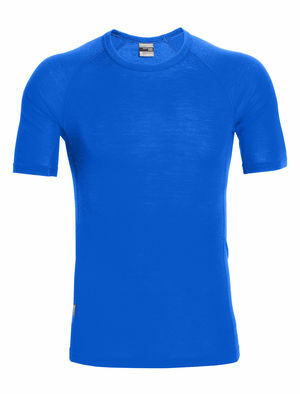 This T-shirt made of New Zealand merino wool is not scratchy, has no smell, regulates body heat, and is easy to care for. And any natural fibers lost during washing do not pollute the environment. If you want to keep some of your old fleece pullovers and other potentially harmful garments and still contribute to a microplastic-free ocean, the Berlin-based company Guppy Friend might have a solution for you: their washing bag provides a filter for microplastic while laundering your clothes. With this innovation 99 percent of the microplastic that would end up in water systems (where they cannot be filtered out again) remain in the bag and can be disposed of properly. Phthalate are used as plasticizers, above all in PVC where they comprise on average between 30 and 35 percent of the material. They make this otherwise hard and brittle material into an elastic, soft plastic. In Western Europe, about one million tons of phthalates are used every year, the five most common being DIDP, DINP, DEHP, DBP, and BBP. Soft PVC and the phthalates it contains are found in many products that we use daily, such as flooring, wallpapers, shower curtains, paints and varnishes, packaging and cosmetics, in sport and leisure articles as well as in childcare products and children’s toys. In the construction industry, this material is used for cables, conduits, or to seal roofs; in the automotive industry, for underbody protection, seals, interior linings, and for truck tarpaulins; and in the medical-technical field, soft PVC is used to make infusion bags and tubes and for enteric coating for tablets. Plasticizers are not bound in plastic and can evaporate or dissolve through contact with liquids and fats. It is suspected that the largest amount of plasticizers enters the environment during use of the product. Pthalates can be taken in through food, saliva, by breathing, or through the skin, and they also collect in house dust. Studies show that a number of phthalates can pose a danger to human reproduction, while it is suspected that others concentrate in the environment. The EU has declared several plasticizers toxic to the human reproductive system and has banned their use in childcare products and children’s toys. Paints and varnishes with the “Blue Angel” symbol contain no plasticizers. Safe or harmless products are often clearly marked as such. Halogen-free cables and wiring are free of fluoride, chlorine, bromine, and iodine, chemicals that, in the event of a fire, can have dangerous effects similar to those of PVC. As a result, in buildings where groups of people congregate or where valuable material has to be protected, these cables and wiring have become increasingly popular. Certain products made from plastic have a particularly high probability of ending up as garbage, primarily packaging that is almost immediately discarded. Reports from international garbage cleanup campaigns have shown that plastic debris from the food and packaging industries often enters the seas as flotsam. Included in the ten most common forms of flotsam are plastic bottles, plastic bags, straws, lids, and food packaging. About one-third of the plastic produced worldwide (128.8 tons) is used for packaging. Its use is primarily justified by its utility in conserving goods and reducing the risks of breakage, and by its transparency and low weight, which is generally a small percentage of net product weight. This means savings in transportation costs and the CO2 balance, especially over longer distances. Nevertheless, there is a clear disconnect between the long life of product packaging—up to several hundred years—and the short life of the product. This problem is exacerbated by the self-service approach of supermarkets, which require as many prepackaged goods as possible. While the industry defends the use of plastic by arguing that it has a more favorable ecological balance than other materials, does every piece of fruit or vegetable, cheese or sausage really need its own plastic wrapper? Led by the ubiquitous, handy-sized PET plastic bottle and packaging for food eaten on the go, the plastics industry seems to have found here an inexhaustible market, which unfortunately also makes a decisive contribution to littering. Many retailers and fast food chains are already making a concerted effort to find more environmentally friendly alternatives, but much can also be done on an individual level: returnable or refillable bottles made from non-detrimental materials, lunch boxes with homemade meals instead of fast food, picnics or parties with environmentally friendly materials and glasses rather than plastic cups. One classic product made out of plastic is the plastic bottle. 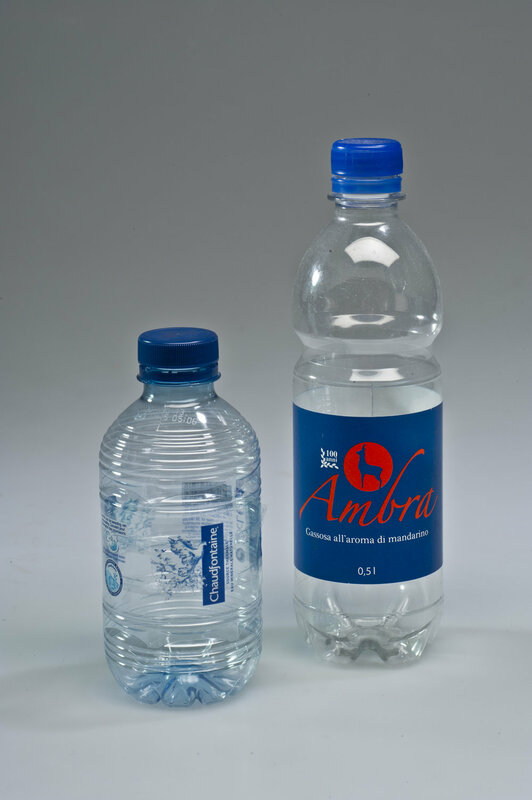 Being lightweight (compared to glass), it is often the “bottle of choice.” But since it is not recommendable to refill and reuse a plastic bottle, its useful life is incredibly limited. A number of countries have tried to deal with this single-use item by providing a special disposal system so that it is properly recycled, by making consumers pay a bottle deposit so that they return them, and so on. And, luckily, there are a lot of countries where you can drink water straight from the tap. The plastic bag made of polyethylene or polypropylene, first introduced in the 1960s, is regarded as the symbol of the consumer society. Some 600 billion plastic bags are produced worldwide each year; a European citizen uses about 500 plastic bags annually. Generally they are used only once, which stands in stark contrast to their long life span. Thin plastic bags in particular represent a serious ecological problem. They are easily thrown by the wind and have turned many stretches of land into landscapes of plastic, or they land in rivers and streams and ultimately find their way into the sea. In a number of countries, including France, India, and China, plastic bags, either all types or just lightweight bags, are now banned. Alongside this approach, strategies to reduce their numbers by imposing taxes and charges, recycling, or the use of bioplastics are being tested. More sustainable alternatives include paper bags, cloth bags, shopping baskets, or plastic bags with a longer useful life.